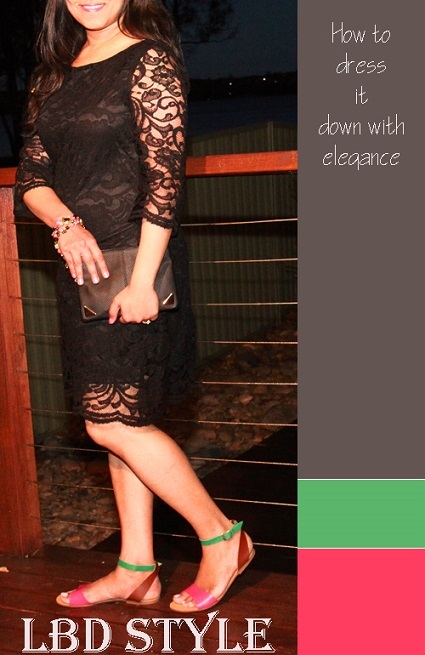 Lace and the LBD coming together calls for a decadent outfit! But if you want to play it simple and dressed down here’s the perfect style idea. The beauty of this outfit besides being a super bargain option is minimal use of accessories. I like the fact that the hint of matching colours on the necklace, used here as a bracelet and the sandals spell ‘Spring’. Sometimes all it takes is a bit of creativity in using an accessory differently to get an unexpectedly great result! The necklace as bracelet idea works best with not so chunky and colorful pieces and lends the outfit a far more polished look in this case. Jade and pink are fresh and used in small proportion on accessories they don’t over power or take away from the black. As a stylist I believe in the ‘super powers’ of an LBD and I would recommend owning not just one but a few different variations: Ponte, lace, sheer, bodycon or a maxi depending on what works for your body type and more importantly your personal style. A thrifted LBD can be a perfect piece for a relaxed dressed down look. As for that exquisite black dress in your wardrobe reserve it for a special occasion paired with high heels and a luxurious clutch of course! How do you like this style variation of the LBD? 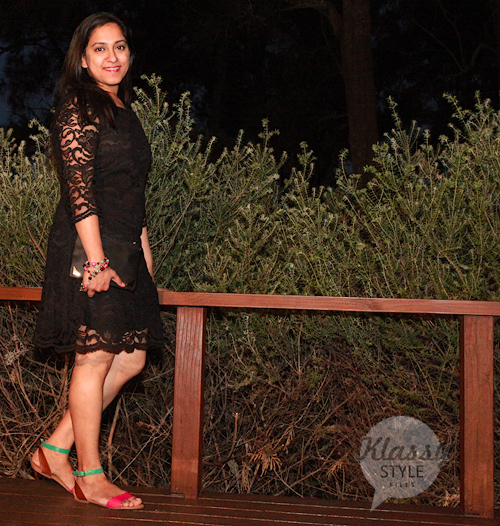 Do you like to get the most out of your LBD too?? The weekly trend: Goodbye winter! Kalyani ..u look gorgeous. I always use my necklaces as bracelets..they r so much fun n easy to do. N that LBD is wow. Loved it! I loved the pairing. Amazing Kalyani!